Thank you to our 48th Annual 2016 Clearwater Beach Conference sponsors! 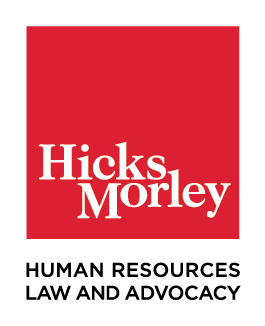 Hicks, Morley devotes their practice exclusively to representing employers on human resources law and advocacy issues. They are the leading firm in Canada practicing in this area, with over 90 lawyers in five cities in Ontario. Hicks Morley provides legal services that include advice, courtroom and tribunal advocacy, negotiation, alternative dispute resolution, policy development and strategic planning. In addition, our Knowledge Management Group, combined with an unparalleled use of technology to capture institutional knowledge, ensures we maintain a commanding edge on the services we provide. Sponsor: Fagen Friedman & Fulfrost LLP. We Envision a state and nation that devour the promise of excellent education, ensuring that all students are provided the opportunity to realize their individual potential. We Strive to redefine education law by complementing the firm's excellent legal counsel with timely, useful, innovative programs that help our clients build continuously improving education services and facilities. Our mission is to help every client to achieve their mission. Keenan Pharmacy Services consists of pharmacy benefits industry experts that offers self-funded employer groups the opportunity to join a unique and customized pharmacy benefit coalition consisting of 500,000 members nationwide and growing. We offer a fully transparent PBM contract that saves plan sponsors 15-30% on their prescription drug spend. Good health has many aspects. Homewood Health delivers a continuum of mental health and addiction services that is unique in Canada for its breadth, quality, integration, and most importantly, results. We are focused on achieving and sustaining the optimal health of Canadians and the organizations they work for. New York State Association of Management Advocates For School Labor Affairs (MASLA) is the only association in New York State that is dedicated to advocating management’s position on public sector labor relations issues.